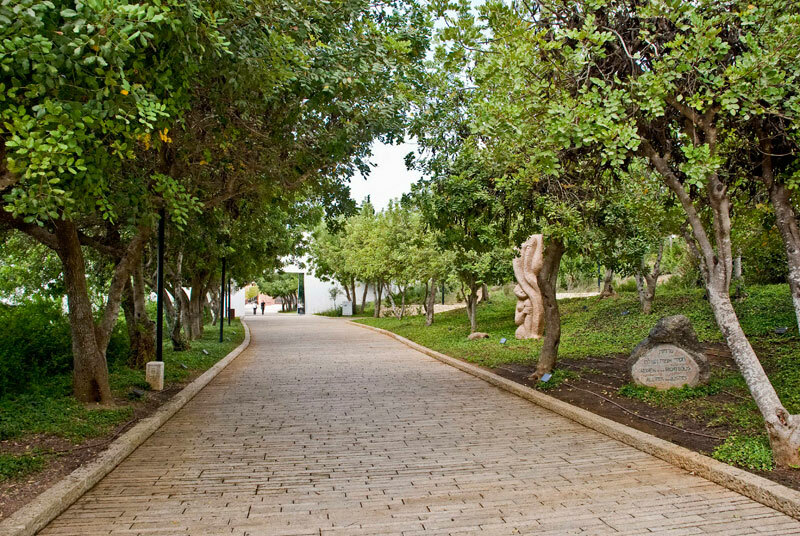 The Avenue of the Righteous Among the Nations was dedicated on Holocaust Remembrance Day, May 1, 1962. 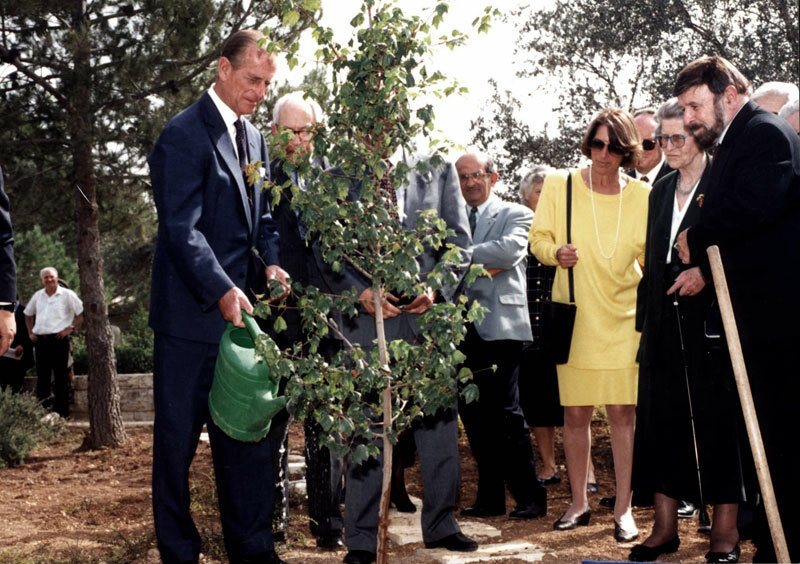 The Israeli government was represented by Foreign Minister Golda Meir, and the first eleven trees were planted along the path leading to the Hall of Remembrance on the bare hill of the Mount of Remembrance. 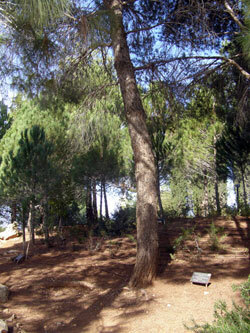 The trees were placed in the ground by rescuers from different countries as well as by their Israeli hosts – the Jews they had rescued. 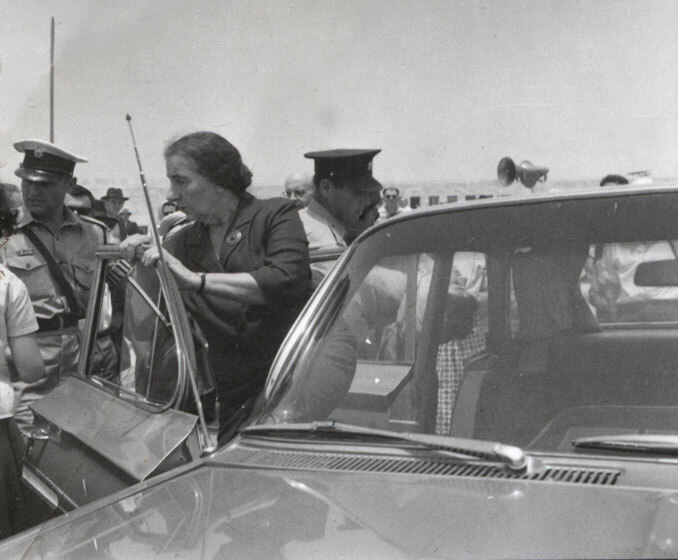 In her speech Golda Meir said that "the Jewish people remember not only the villains, but also every small detail of the rescue attempts." 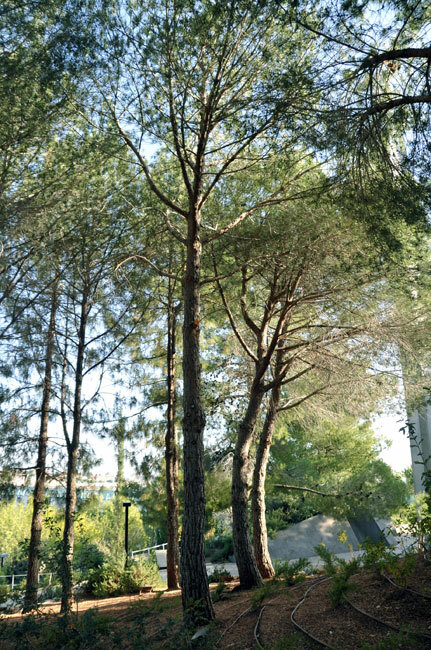 She compared the Righteous Among the Nations to drops of love in an ocean of poison, and said that "they rescued not only the lives of Jews, but had saved hope and the faith in the human spirit." 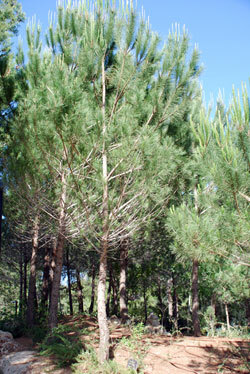 The first trees were planted before the establishment of the Commission for the Designation of the Righteous in the beginning of 1963. During the German occupation Mariya Babich helped some Jews who were incarcerated in the ghetto of Równe, Wołyń (today Rivne, Volyn District). Babich also sheltered a Jewish baby in her home and raised her for four years, taking care of all her needs. The baby’s mother, Mina Osipow, perished during the Aktion on November 6, 1941, but her father, Itzhak Osipow, who served in the Red Army, returned to Równe after the war and found his daughter Irit alive thanks to Babich. Irit was the only surviving member of Osipow’s entire extended family. 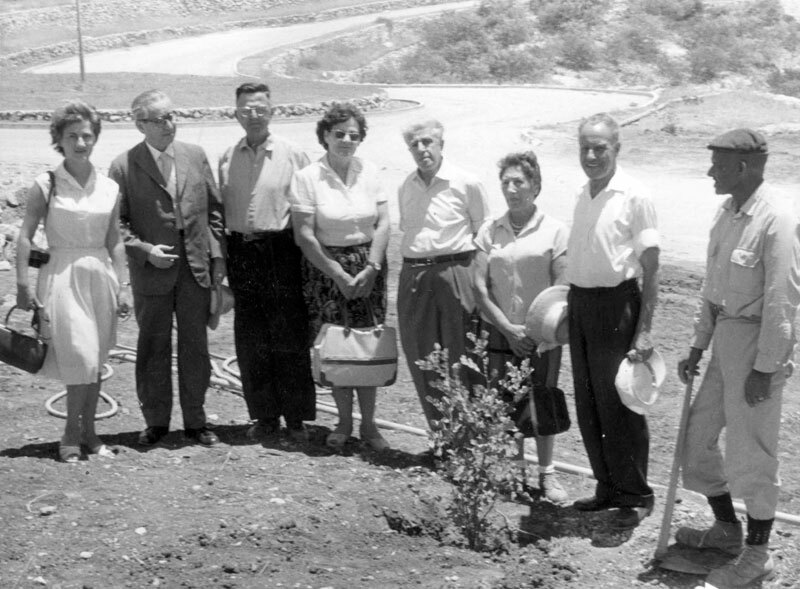 Thereafter, Babich became part of the Osipow family and she later immigrated with them to Israel. 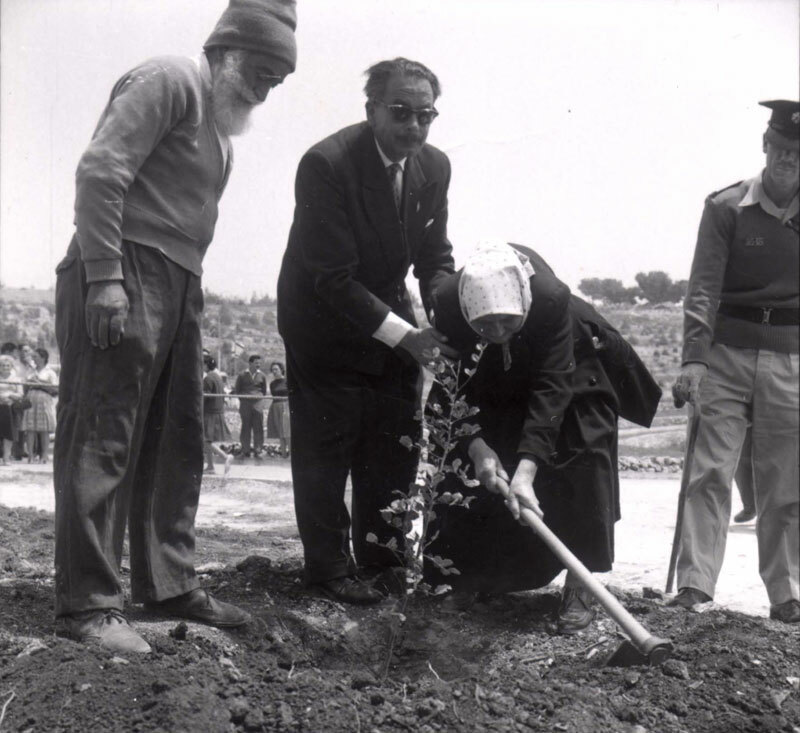 When Yad Vashem recognized Babich’s wartime deeds, she became one of the first to plant a tree in the institution’s Avenue of the Righteous Among the Nations. 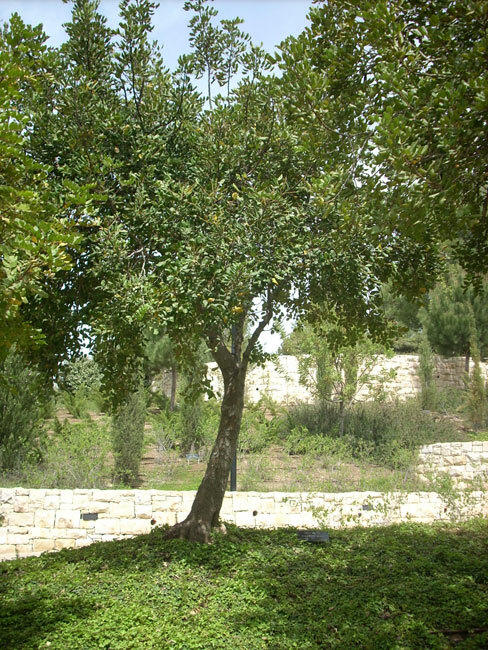 When Babich died, in 1971, she was buried in the cemetery on the grounds of the Russian monastery for women in Ein Kerem, Jerusalem. 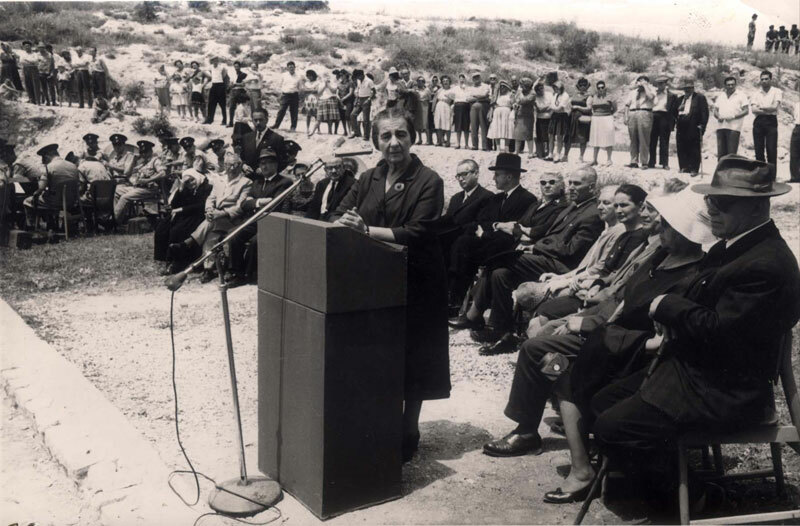 On 30 May 1978 Yad Vashem recognized Maria Babich as Righteous Among the Nations. In 1939, after the Soviets annexed Lwow to the Soviet Union, Maria Charaszkiewicz moved to Warsaw, where she decided to try and ease the plight of the Jews. After the ghetto was set up in Warsaw, Charaszkiewicz, wearing the Star of David armband, smuggled food into the ghetto and distributed it among the needy. In 1941, after the Germans captured Lwow, Charaszkiewicz returned to her native town to help Jewish friends who were being persecuted by the Germans and Ukrainian nationalists. At enormous personal risk, Charaszkiewicz, together with a Ukrainian friend, managed to save the two daughters of her friends, Janek and Cesia Lewin, by providing them with “Aryan” documents and finding shelter for them outside the city. Charaszkiewicz also found a hiding place for the girls’ parents in Warsaw, where they spent the war under an assumed identity. In 1942, during one of the large-scale Aktionen in the Lwow ghetto, Charaszkiewicz managed to smuggle Kamilia Landau, a dentist with whom she had studied, out of the ghetto. After obtaining “Aryan” documents for her, Charaszkiewicz took her to her sister’s home in Grodek Jagiellonski. When her sister’s neighbors became suspicious, Charaszkiewicz brought Landau back with her to Lwow, where she stayed until the area was liberated by the Red Army in July 1944. In risking her life to save Jews, Charaszkiewicz was guided by compassion and a loyalty that triumphed over adversity. 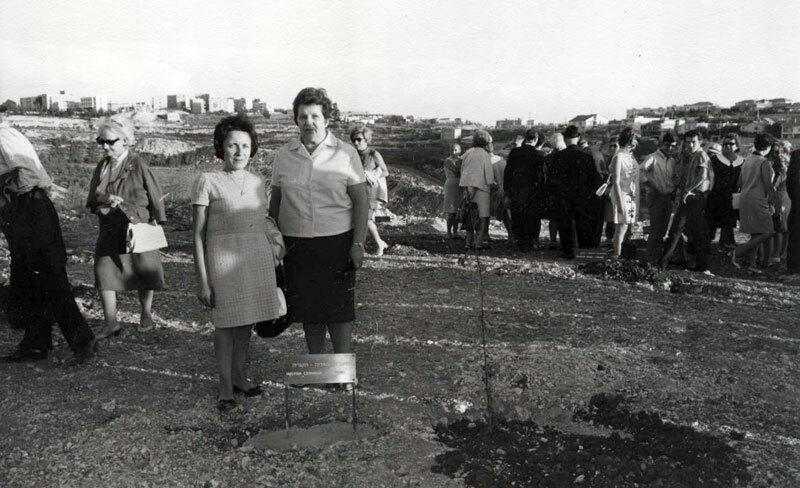 On June 26, 1976, Yad Vashem recognized Maria Charaszkiewicz as Righteous Among the Nations. Paul and Jeanne Duysenx lived in Brussels, together with their daughter, Marie Thérèse, a journalist with La Defense Sociale. When Marie-Thérèse learned in 1942, that the nineteen-year old, Benjamin Helman, whom she knew, was in need of an immediate place to hide, she contacted her parents, and they agreed to take him in for some days, knowing that he was Jewish. The few days eventually stretched into two and a half years. Benjamin’s parents, Josef and Channa (née Kubovski) and his five-year old sister Gitta, who were hidden with a family who had a change of mind and forced them to leave, were deported and murdered in a concentration camp. Benjamin’s eldest sister, Gdula, who was hidden somewhere else was saved. While with the Duysenxes, Benjamin, equipped with a false identification card,, first worked as a dentist’s assistant. But, when stepping out proved too risky, Benjamin stayed mostly indoors, and spent his time in the back of the store that Paul owned. Paul was a graphic artist whose expertise was in restoration and he dealt in antique drawings. He was well known in Brussels and even some Gestapo officers were among his clientele. Benjamin would help in the store and serve the Nazis, who often pressed for a “good deal” but in effect blackmailed their way to a bargain price. Towards the end of 1943, when the Gestapo intensified its search for Jews, and it became too dangerous to go out at all, Benjamin stayed hidden all the time. Benjamin and his hosts became very close; he referred to Paul Duysenx as “Papa Paul” and was indeed treated like a son. There were no financial arrangements and no special aid was requested of Benjamin. Food was shared by all equally. After the war, relations remained close, even when Benjamin moved to Israel. On May 24, 1977, Yad Vashem recognized Paul Duysenx and Jeanne Duysenx-Le Jeune, as Righteous Among the Nations. Ilona Tóth’s father was born in Hungary. When she married Benjamin Elias, a Greek Jew who owned a flourmill, her father cut off all contact with her. Ilona and her husband lived in an area of Yugoslavia that was annexed to Hungary in 1941. Ilona helped Jewish fugitives who arrived from Austria and Germany. She also helped Jews to escape from Yugoslavia to Hungary and hide. One of those she saved, Elemér Neuman, later testified that Ilona Elias helped find him a hiding place when he fled from Belgrade to Újvidék / Novi Sad (today Serbia). Ilona Elias later smuggled him to Bácstopolya / Bačka Topola (today Serbia) in southern Hungary, and arranged a hiding place for him there as well. She helped other Jewish fugitives by helping them find work, or by giving them food and clothing. After the German invasion, many of the Jews in the area were arrested, including Ilona’s husband. They were taken to a concentration camp under German administration in Bácstopolya, which was the camp from which the first Hungarian Jews were transported to Auschwitz by train on April 28, 1944. Ilonka brought food and clothing not only for her husband, but also for other Jewish inmates. Every few weeks the Germans did a selection of Jews in the camp in order to organize the next shipment of Jews. On one of these occasions, Ilonka’s husband was chosen for deportation. Ilonka tried to get him released, but was beaten by the guards. She followed the transport train until it arrived in the city of Baja, where the Jewish inmates were placed in a camp prior to deportation. By bribing an officer, she managed to get her husband out, along with five additional Jews. In order to cover up his deed, the officer said they were not Jews, but political prisoners. All six Jews were saved. After the war, Ilona and her husband moved to Israel, where she continued to save Jewish lives by volunteering for the Magen David Adom emergency medical organization. She also volunteered her help in support of Israel’s soldiers. She later testified that, as a Christian, she felt that it was her responsibility to work to redress the treatment of Jews by the Nazis. 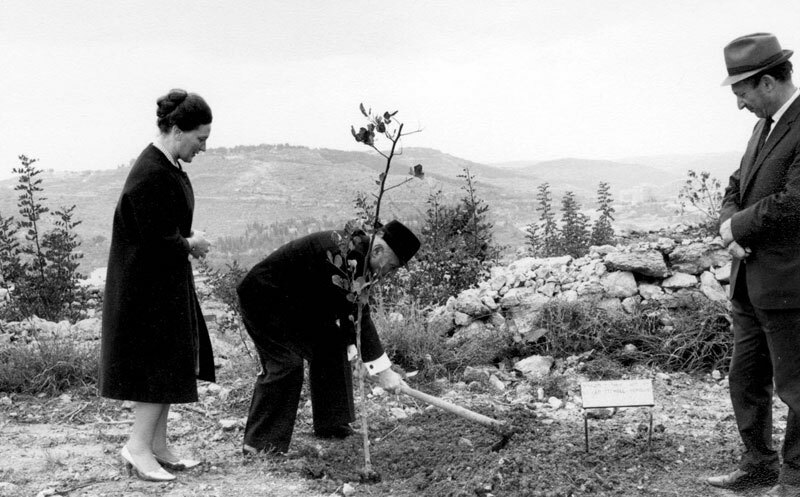 On February 19, 1976, Yad Vashem recognized Ilona Elias (née Tóth) as Righteous Among the Nations. Alphonse and Emilie Gonsette from Gosselies, north of Charleroi, as well as their son Emile, were members of the Belgian underground M.N.B. In 1942, Emile was arrested by the Gestapo with seven other students, and shot in Charleroi. In spite of the fact that their house was under constant surveillance by the Gestapo, when Miss Dessent of the Resistance approached them in 1943 with a request to take in a two-year-old Jewish boy whose mother had been arrested, they did not hesitate for one moment. Young Simon Weissblum was a sickly child and twice needed an operation during the war while staying in their house. The surgeon, Dr. Perçoit, refused payment when he learned that the boy was Jewish, and kept him in the hospital for a couple of weeks. Simon remained for more than a year in the home of the Gonsettes who treated him as their own child, but kept showing him the picture of his mother, lest he forget her. When his mother came to look for him after the war, she too was invited to remain in their household for a few months. 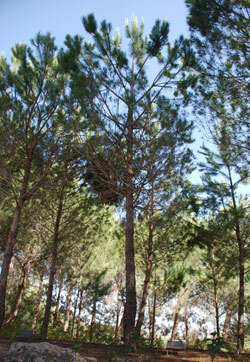 After the war, the Gonsettes also turned down the offer of payment for the sheltering of Simon Weissblum. When his son was born, Simon named him after the martyred Emile Gonsette, son of his foster parents, as an appreciation of his rescuers. 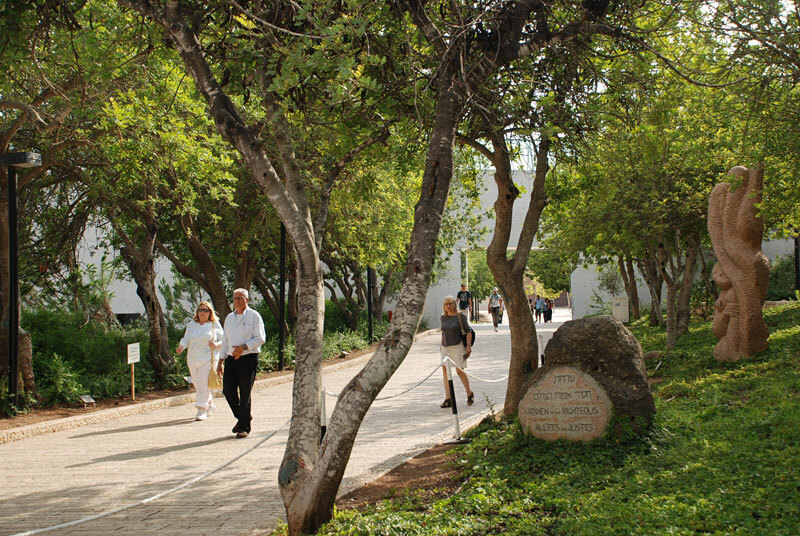 On November 14, 1974, Yad Vashem recognized Alphonse Gonsette and Emilie Gonsette-Seymers as Righteous Among the Nations. Immediately after the German occupation of Warsaw, Professor Pawel Horbaczewski was appointed chairman of the Social Welfare Committee, set up to help citizens whose apartments had been bombed. Soon after assuming office, Horbaczewski began helping Jewish students, by providing them with documents which entitled them to hot meals, and allowed them to move freely through the city’s streets. With the establishment of the ghetto, Horbaczewski stepped up his rescue work, hiding over 20 Jews in his office, and delivering food supplies to Janusz Korczak’s orphanage. After he was dismissed in 1942, Horbaczewski rented the premises of his former office to enable Jews to continue hiding there. Professor Horbaczewski lived in the ghetto with his Jewish wife, but was allowed each day to visit his apartment on the Aryan side of the city, which he turned into a Jewish shelter. In 1943, Horbaczewski and his wife fled to Jedrzejow, in the Kielce district where, despite the distance, he maintained contact with his charges in Warsaw. After the war, Professor Horbaczewski was appointed honorary member of the Jewish Committee in Lodz. In 1950, the Horbaczewskis were arrested on charges of spying for the State of Israel and were sentenced to death. 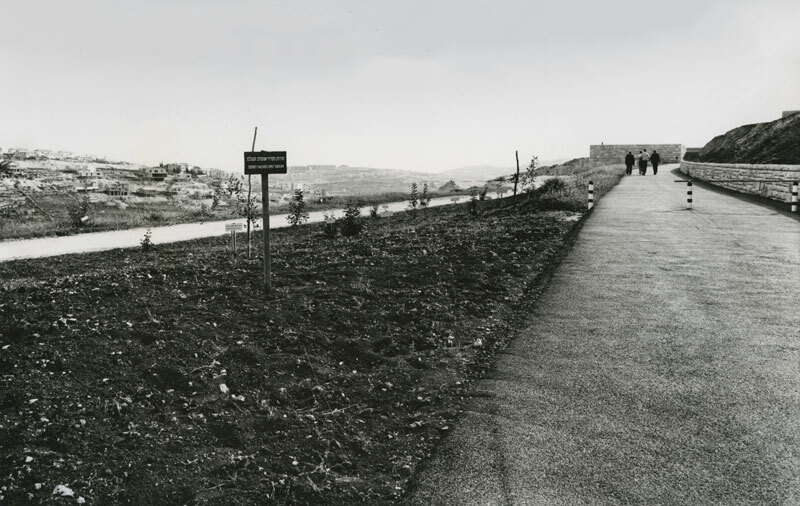 After being granted a reprieve in 1956, they immigrated to Israel where they spent the rest of their lives. In throwing in his lot with Jews, Professor Horbaczewski was guided by humanitarian principles, which overrode considerations of personal safety or economic hardship. On November 10, 1964, Yad Vashem recognized Professor Pawel Horbaczewski as Righteous Among the Nations. In 1939, after the annexation of the Lodz district to the Reich, the Germans confiscated the Kruks’ estate in the village of Kalinow. Shortly after the outbreak of war, the Kruks’ daughter, Helena, came to stay with her uncle and aunt in Warsaw, where she met a number of Jews who had been close friends of her parents. Upon witnessing their suffering, even before they were interned in the ghetto, Kruk decided to help them, and bought them food, and carried out errands for them to spare them humiliation. Upon the closure of the ghetto, she managed to persuade her uncle and aunt to shelter six Jewish acquaintances who, at great personal risk, she smuggled out of the ghetto. Somewhat reluctantly, Kruk’s uncle and aunt found themselves sheltering four members of the Lichtensztajn family, the Liliental couple, and later also Maksymilian Szretter, a former judge, in their humble abode. Helena took it upon herself to look after the refugees and when extortionists and informers began harassing them, she arranged alternative shelters for them. When the residents of Warsaw were driven out of the city following the Warsaw Uprising in the summer of 1944, Kruk took her Jewish charges with her, without revealing their identity. 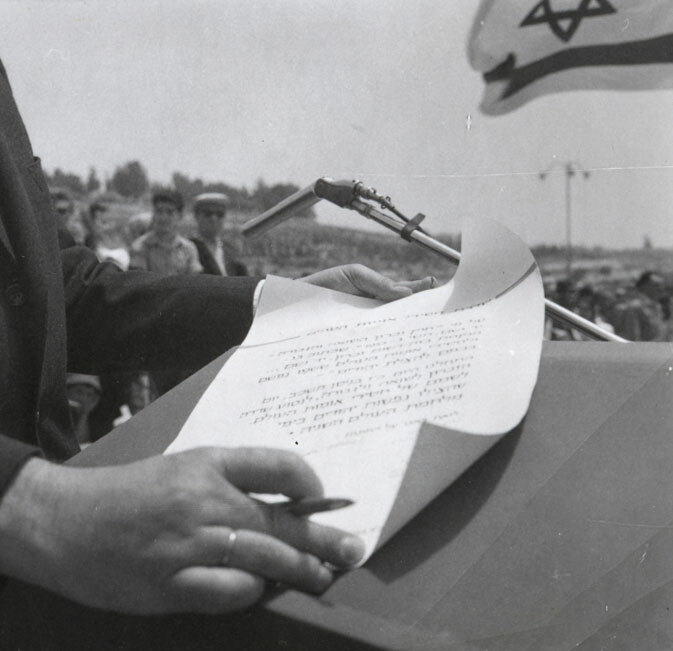 After the war, Kruk married Jakow Korzeniewski, a Jewish veterinarian, and the two immigrated to Israel, where they changed their name to Korazim. 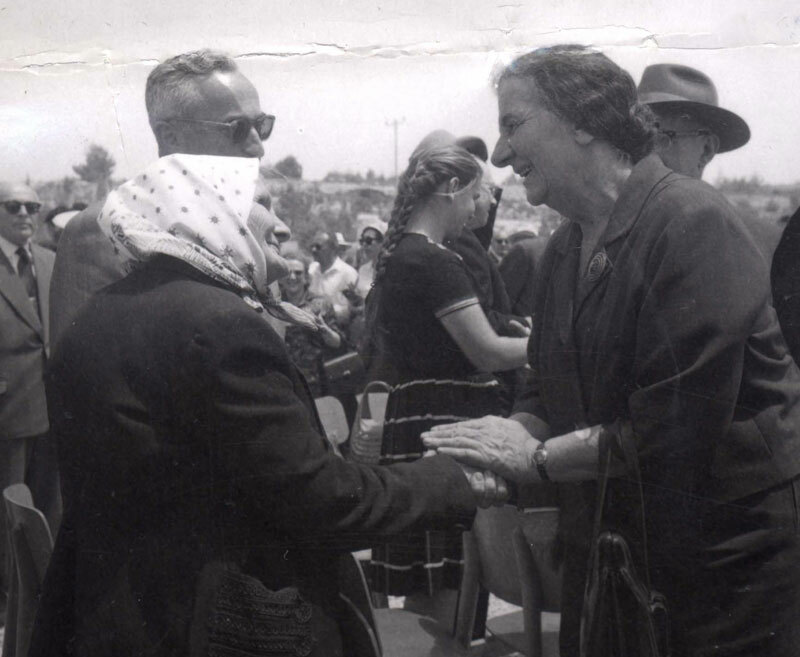 On December 22, 1964, Yad Vashem recognized Helena Korazim-Korzeniewska (née Kruk) as Righteous Among the Nations. During the occupation, Wladyslaw Kowalski, a qualified engineer and colonel in the Polish army, put all his energy and money into saving Jews. His courageous rescue activities began already in the summer of 1940, when a Jewish boy called Bruno Boral approached him in the street stating: “I am a Jewish boy, who is being persecuted. I haven’t eaten for three days. Please buy me something to eat.” Kowalski immediately did as requested, and arranged shelter for Boral in a friend’s house, thereby saving his life. From that day on, Kowalski decided to make saving Jews his life’s mission. He let his house in Warsaw be used as a shelter for Jewish refugees, and arranged hiding places for others with his relatives and friends. Despite the danger, he provided the refugees with food and saw to their needs, until the outbreak of the Warsaw Uprising in August 1944. In early October 1944, the uprising was brutally suppressed and all Warsaw’s inhabitants were forced out of the city. Kowalski refused to abandon the Jewish refugees hiding under his care; he prepared a bunker amid the rubble of Warsaw and stayed there with his charges until January 1945, when the area was liberated by the Red Army. Among the survivors who owed their lives to Kowalski were: Lea Buchholz (whom he later married); Aron and Helena Bialer; Mieczyslaw and Barbara Rezyk and Rachel and Jozef Tulia, all of whom Kowalski smuggled out of the ghetto and helped while they were hiding on the Aryan side of the city. Before the deportation of the remnants of the Jews from the ghetto in the town of Izbica, in the county of Krasnystaw, Lublin district, Kowalski entered the ghetto and, at great personal risk, smuggled out Chaim and Malvina Rozen, their daughter, Wanda, and Rozen’s sister, Ada, and arranged for them to stay with a friend, thereby saving their lives. From September 1942 to August 1944, Kowalski hid Aron and Helena Bialer, Golda and Roman Fischer, Roman’s brother Mordechai, Seweryn and Wanda Waldholer, Mieczyslaw and Barbara Rezyk, David Goldfarb, and Bina Bergman in his cellar. 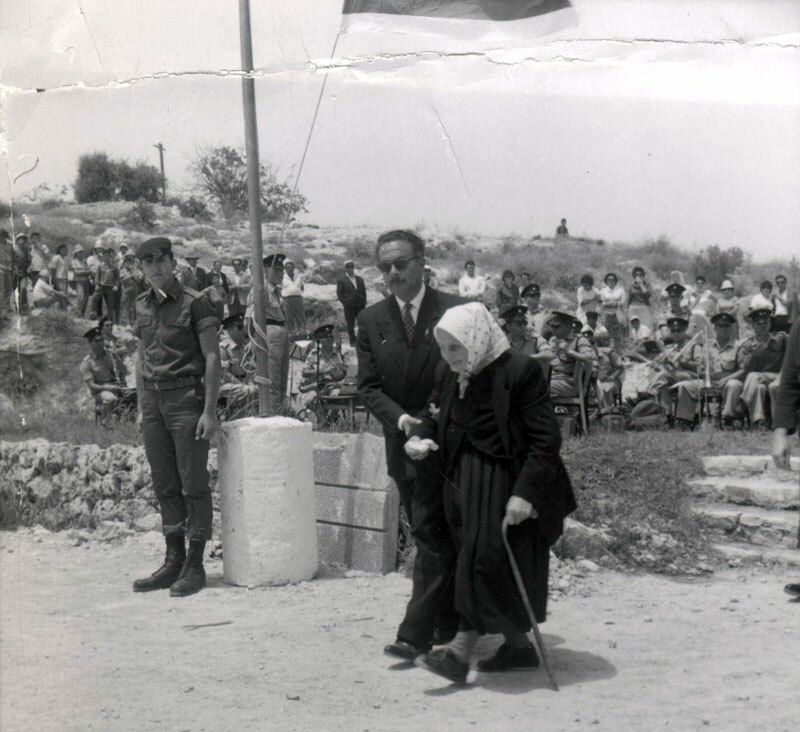 After the war, Kowalski and his wife, Lea, immigrated to Israel, where Kowalski was treated like a hero. Most of the refugees saved by Kowalski immigrated to Israel after the war. The remainder immigrated to Canada, the United States, and Belgium. 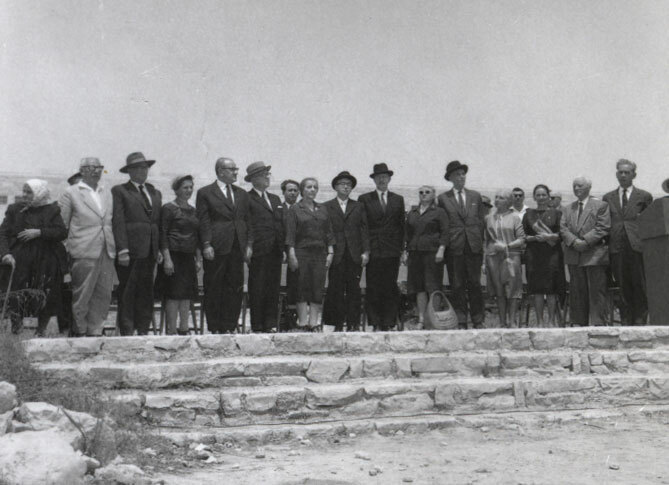 On June 4, 1963, Yad Vashem recognized Wladyslaw Kowalski as Righteous Among the Nations. In 1941, David and Chana Buwilski of Kovno found themselves in the Vilna ghetto and they immediately started to look for a way to escape over to the Aryan side of the city. Because they were strangers to the area and had no acquaintances among the local population, they looked among the local Jews for someone to represent them. In 1943, not long before the final liquidation of the ghetto, the Buwilskis managed to escape with the help of Lipa Sztejnhaer, a local friend, and reach Jan Pietkun, a Polish official who was willing to hide all three Jews in his home. At first, he hid them in a hiding place he had prepared for them under his apartment, but after a short time, he was forced to moved them out because the command post of the German air force had taken over the apartment above. Under these conditions, Pietkun built the three fugitives an alternative hiding place in a building near a church, where they hid for almost a year, until the area was liberated by the Red Army. 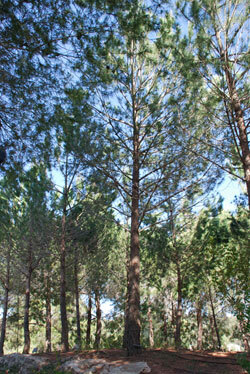 Throughout that entire period, Pietkun took care of all their needs and they paid the cost of their upkeep. In the beginning, they also paid him a modest sum to prepare the hiding place for them, but he saved them for both humane and patriotic reasons. 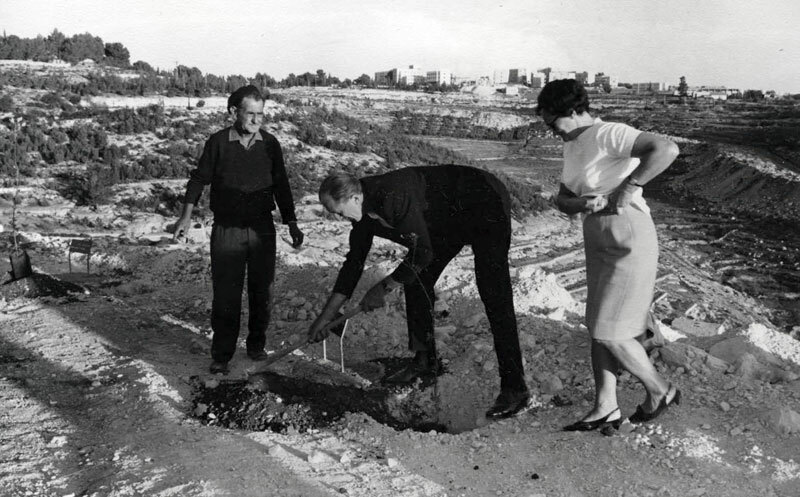 After the war, David and Chana Buwilski immigrated to Israel and in 1962, Pietkun, who moved to an area within the new Polish borders after the war, visited them in their home. 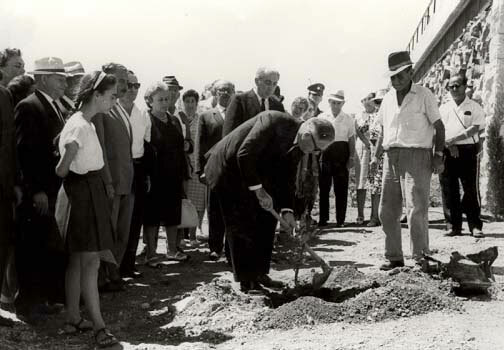 On April 28, 1970, Yad Vashem recognized Jan Pietkun as Righteous Among the Nations. The Strusinskis of Luck (Volhynia district) belonged to the liberal Polish intelligentsia. Zygmunt Strusinski, an attorney, was a well-known public figure in Luck; Dr. Wiktoria Strusinska, his wife, was a physician who spent the war working at a local hospital, where she befriended Tatiana Goldsztajn, a young Jewish physician. One day in the summer of 1942, Dr. Strusinska warned Goldsztajn that the Germans were about to liquidate the local ghetto. She urged Goldsztajn to escape from the ghetto at once, along with her husband Faivel, and offered to shelter them in her home. Shortly before the ghetto was liquidated, the Goldsztajns fled to the Strusinskis, where they hid in a firewood storage shed. Eventually Dr. Szneiberg and Dr. Marek Rubinsztajn and his wife, who had fled from the ghetto and wandered at great length before finally finding refuge at the Strusinski home, joined them. When winter came, the fugitives suffered from severe cold in the shed. Although aware of the danger of hiding Jews, the Strusinskis invited all five into their home and subsequently built them a hideout in their cellar. 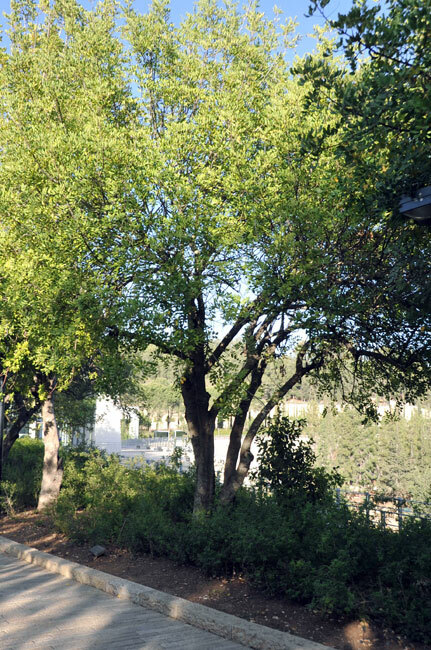 Since Dr. Strusinska worked outside the home, her husband Zygmunt and their seventeen-year-old daughter Irena shouldered the burden of caring for the hiding Jews. On August 19, 1943, the Germans arrested Zygmunt Strusinski along with a group of Polish intellectuals and executed him. This left the responsibility for the fugitives’ care to Strusinska and her daughter. Even when the Strusinskas’ economic circumstances worsened and everyone in the household suffered from hunger, their humane attitude toward the Jews in their care did not change. They shared with them such meager food as they could obtain and refused the fugitives’ offer of their jewelry to pay for their upkeep. Strusinska did take the jewels into her possession but only on deposit; after the war, she returned them to their owners. The Strusinskas, along with their wards, experienced much hardship until the liberation in the spring of 1944, and their actions were prompted by purely humanitarian motives with no material interest. After the war, the survivors supported Dr. Strusinska and after she migrated to the Polish interior, arranged a job for her. 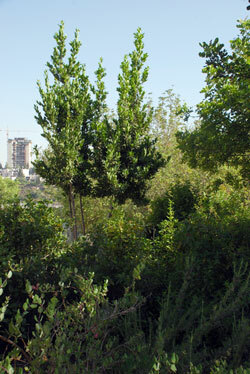 The Goldsztajns, who settled in Israel, stayed in touch with her and in 1963 invited her for a lengthy stay at their home. 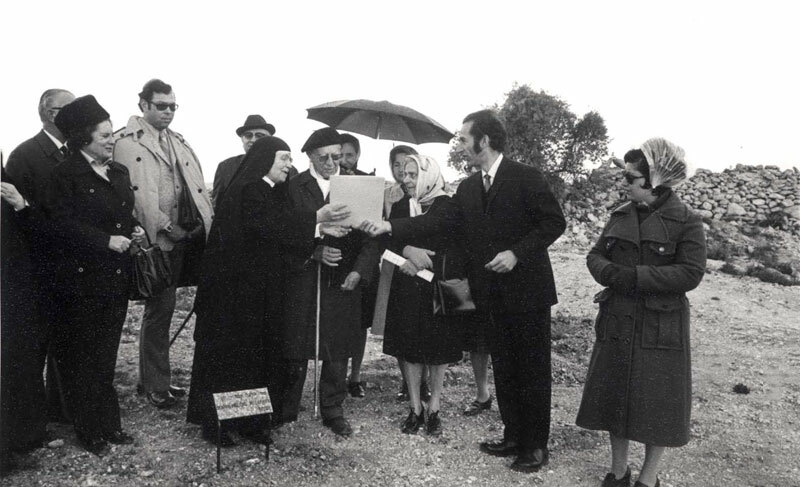 On January 24, 1967, Yad Vashem recognized Zygmunt Strusinski and his wife, Dr. Wiktoria Strusinska, as Righteous Among the Nations. 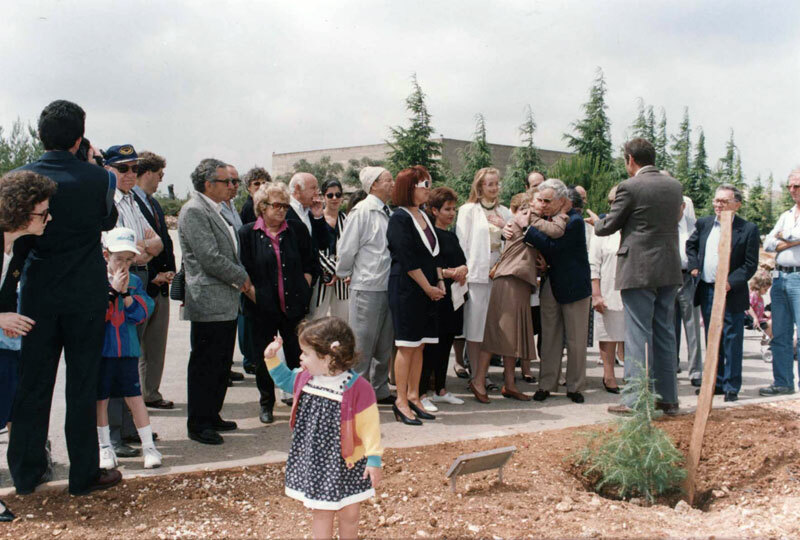 On October 11, 1987, Yad Vashem recognized the Strusinskis’ daughter, Irena Bylica-Strusinska, as Righteous Among the Nations. Karla Andelová (later Weiss) was born in Prague. After completing high school and further professional studies, Karla opened a tailoring shop in her hometown. In the early 1930s, Karla met Ferdinand Weiss, born in Carpathian Ruthenia and the owner of an orthopedic cobbler shop. Over time, they became close friends. Following the German conquest of the Czechoslovak Republic, Weiss joined Andelová working at her shop. Andelová in return helped Weiss, who was active in the anti-Nazi resistance and this led to both being apprehended. On their way to the detention center, Andelová persuaded Weiss to claim in the interrogation that she was the one who initiated the resistance activity and that Weiss was an incidental bystander. Andelová believed that, as a Christian, the measures that would be taken against her would not be as stringent as those taken against her Jewish friend. Weiss accepted Andelová’s proposal and was released after his interrogation. Andelová had not realized that her desire to protect a friend would cause her to lose her personal freedom for five and a half years. Andelová was subsequently held in the Pankrác political prison and was sentenced to three and a half years incarceration. After nine months at Pankrác, Andelová was transferred to a prison in Dresden, and from there she was taken to Waldheim. At the end of her prison term, the Gestapo refused to release her, and she was moved to the Small Fortress in Terezín, and eventually she was sent to the Ravensbrück concentration camp. There, she met female Jewish fellow prisoners from Pankrác whom she had helped when they were arrested. They gave Andelová the nickname “Andĕlka” – an angel. In the concentration camp Andelová took a Jewish boy under her wing. His parents had perished and, when the war was over, she brought him back with her to Prague. Weiss did not escape detention in the concentration camps. 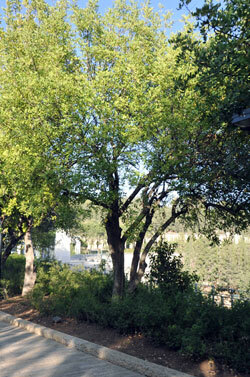 Toward the end of 1941, he was transferred to the Theresienstadt ghetto, and later on to other concentration camps. 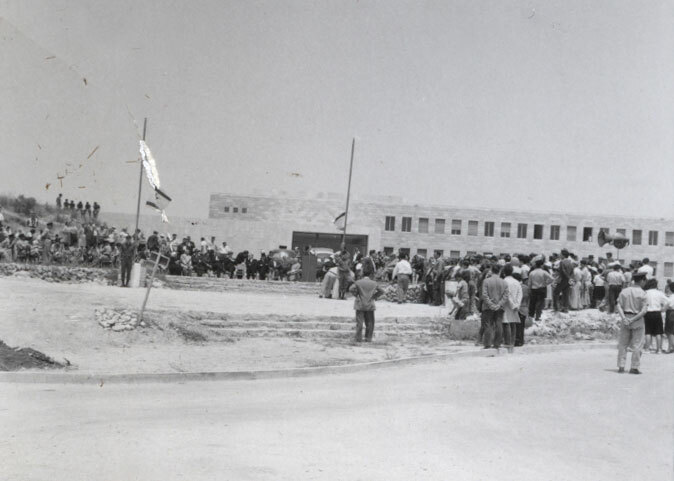 Weiss was liberated in Friedland on May 6, 1945. When the war was over, Andelová and Weiss returned home and got married. 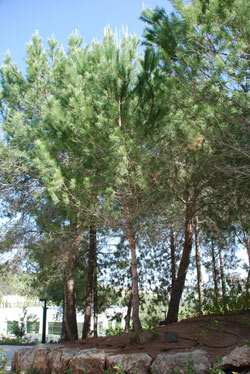 The Weiss couple later immigrated to Israel. 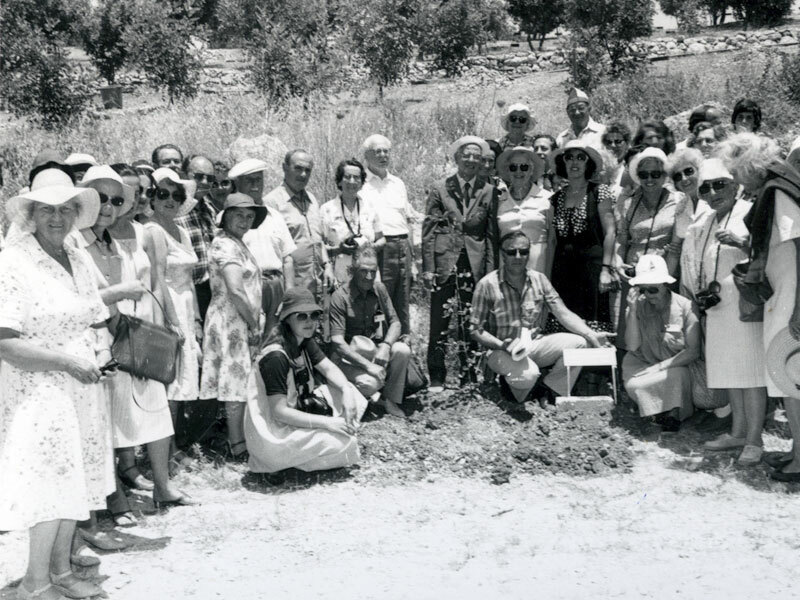 On May 30, 1978, Yad Vashem recognized Karla Andelová-Weiss as Righteous Among the Nations. Planting trees has a special significance in Israel. 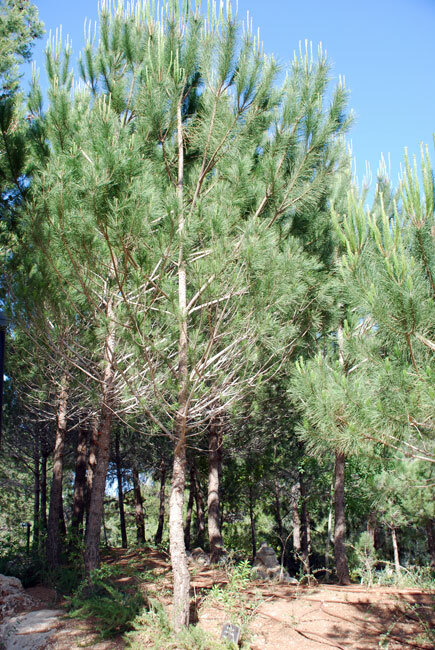 It was a part of the comprehensive forestation and reclamation of land projects conducted by the Jewish National Fund on behalf of the pre-state Jewish settlement and later of the State of Israel. 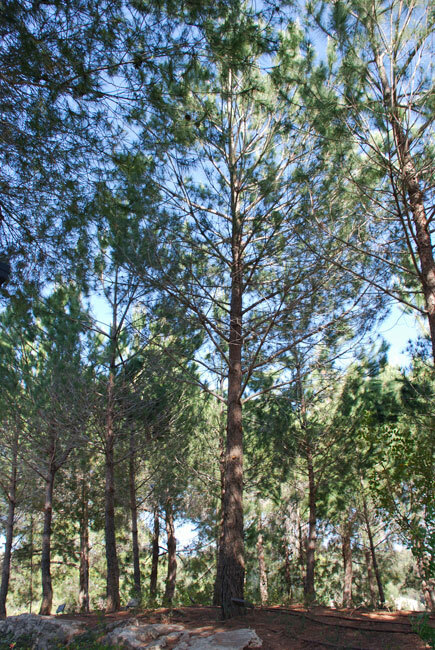 Planting forests in the arid country and creating a green landscape was one form of Zionist activity to develop the country. 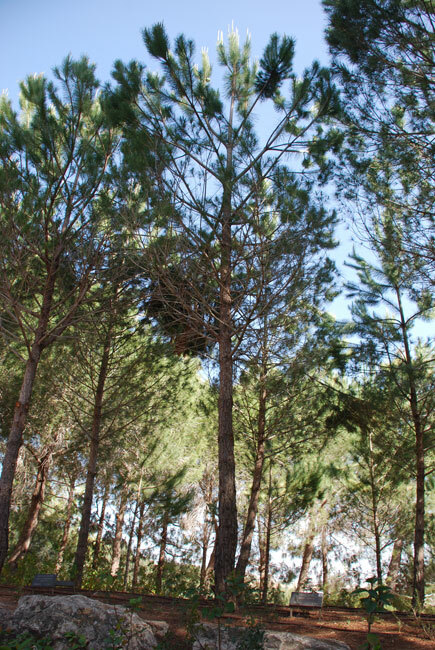 Within these campaigns, planting trees or forests became a form for commemorating persons or events. Thus the Martyrs Forest was planted In the 1950’s on the road to Jerusalem in memory of the six million Jews who had perished in the Holocaust, and school children were involved in the planting of trees in memory of the murdered children. 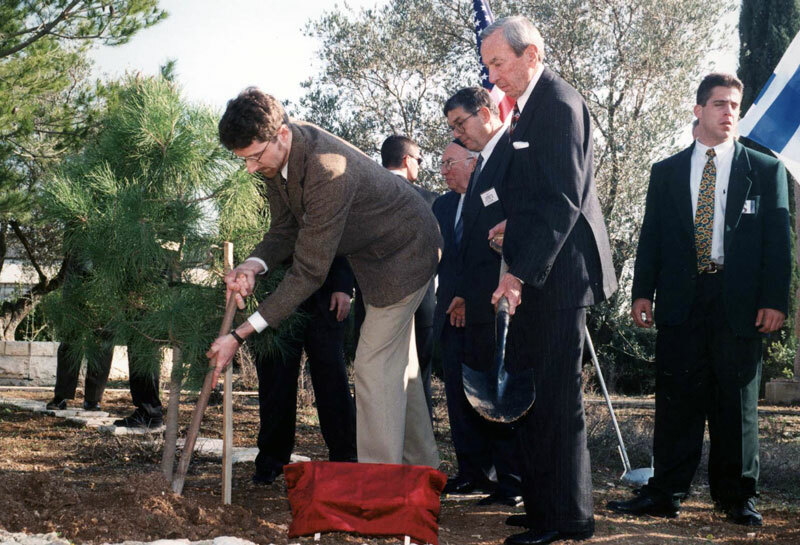 Planting trees in memory of the victims of the Holocaust had also been included in the first plans for Yad Vashem. 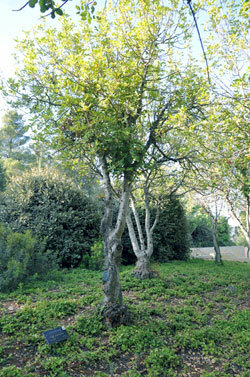 In 1955 Rachel Auerbach, a Holocaust survivor from Warsaw, who worked at Yad Vashem and was in charge of gathering survivor testimonies, asked Arie Bauminger, Yad Vashem’s managing director, to discuss the honoring of rescuers in the Directorate meeting, and suggested to plant trees in on the Mount of Remembrance in their honor. Kobi Kabalek, who researched the evolvment of the Righteous Program believes that Auerbach got the idea when a year earlier she had represented Yad Vashem in a ceremony in memory of Jop Westerweel, who had rescued members of the HeChalutz movement in the Netherlands and was executed in 1944. 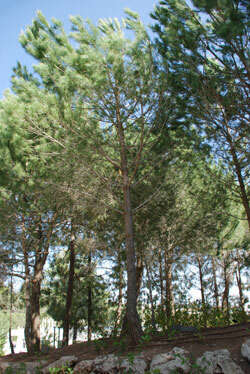 The ceremony took place in a small forest that had been planted in honor of Westerweel.